It is important for masterminds to work together. Especially, if the work drives others to become great. Instilling this greatness in the youth is the XQ Super School non-profit initiative. Established in 2015, XQ Super School’s mission is to fuel America’s collective creativity. But how Sway? Pushing the culture forward, this community of educators, students, families, and civic-minded citizens are rethinking high school education so that every student succeeds. Thus far, XQ has pledged more than $130 million to create Super Schools that make those visions a reality. Propelling this mission even further is the nonprofit’s storytelling tour XQ Super School Live. The collaboration between the initiative and Pop-Up Magazine brings together the power of storytelling, theatre, and art to ignite social change in communities throughout the United States. This year, XQ Super School Live kicked off in Memphis and has hit other major cities like Nashville, Denver, Colorado Springs, San Diego, LA, and Chicago. There’s one remaining citiy for the multimedia tour at VA Beach. Get tickets here. With the support of major figures, advocates, and key tastemakers like Pharell Williams, Ava DuVernay, Marc Ecko, Hebru Brantley, and more, XQ Super School Live is inspiring youngins on their grind. 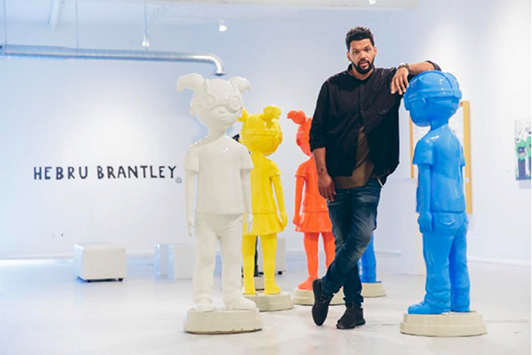 In light of all these inspirators working together for a greater cause we caught up with XQ Super School’s creative chair and creative director, Hebru Brantley and Marc Ecko. For our interview, the Chicago based artist and Complex Magazine founder discussed the power of creativity and how the two ensure the right message is conveyed to high school students through the XQ Super School Live initiative. 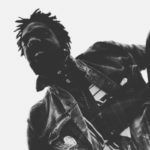 Both Hebru and Marc grew up during a time period where there weren’t enough programs instilled in high school curriculums that supported creatives. “There was nothing set up in the school system to help cultivate our voices,” said Hebru. Back in the 90s, after Ecko graduated high school, he had to learn a great deal of his creative craft on his own. “It sounds hard to believe, but back in 1990, when I was graduating High School— the notion of what desktop publishing and a copy of photoshop could do for creatives was not mainstream,” he said. For this reason, Ecko was able to personally relate. He spoke on how the “system” needs to keep up. Trust, it would make a difference. For everyone who is able to attend the XQ Super School Live experience, Ecko and Hebru, as creative director and creative chair, work to ensure a powerful message is conveyed. The two have known each other for some time. So, an artsy collaboration was inevitable. Plus, Hebru has been itching to collaborate with Ecko on something. So for him, it was great to finally be working with him on XQ’s initiative. For a long time, Ecko has admired Hebru’s works because his Flyboy and Lil Mama characters have served as a source of inspiration for people from all walks of life. “I am grateful that so many people feel connected to my characters and the stories that I tell. I am excited to be able to contribute in this way,” said Hebru. Although Hebru’s heroic characters appear child-like they naturally appeal to the youth. They allow young people to understand the story that he is telling and integrate their story too. “I hope that it inspires them to dream bigger,” he said. Ecko spoke on how it is an honor to work with Hebru and his studio for a great cause. XQ Super School Live proves that collaboration between creatives can make waves in a pond of cultural problems. For our interview, Marc touched on the importance of artists working together for a greater cause. “The greatest outputs I have ever had, both from a net-net outcome professionally and personally, have come by route of collaboration,” he said. His collaborations weren’t incidental or for clout either. For Hebru, “it’s impossible to create real change without the help of others.” Particularly, without his network of creatives and thinkers, he wouldn’t be able to develop as an individual and within his craft. Creative collaboration is necessary and Hebru couldn’t be more thankful. XQ Super School Live’s initiative is helping the youth at the foundation of their lives and that’s of great significance. Leaders like Hebru and Ecko need to come together to inspire those who might be looking for light. Forever they will be an example for younger generations to prosper, wherever their positive interests may lie. Similarly, they are both “creatively restless” and will not stop until their missions are complete. At the close of our interview, both Ecko and Hebru and left wisdom behind for the youngins looking to swerve within the same lane. “Be restless. Do not settle. And please; apply your energy and creativity to industries that NEED innovation. Spread the skills,” said Ecko. Word up! Make sure you stay in tune with XQ Super School’s mission. Hopefully, they’ll be able to make a change within your community too.